These posters are from the private collection of Brian joe Spibey. They are all original and first release. They are not reproductions. They range from 1945 up to the present day. A selection of about thirty are framed and ready for hanging and are available to any group promoting a jazz on film event . A larger exhibition can be arranged but would entail extra framing costs. The country after the year of the film refers to the origin of the poster, not the film. 3. JAZZ ON A SUMMERS DAY 1959 with Teagarden, Monk, Mulligan etc..
14. THE STRIP 1951 with Armstrong, Teagarden and Hines. 7. GLASS WALL with Jack Teagarden and Shorty Rogers and his band. 27. 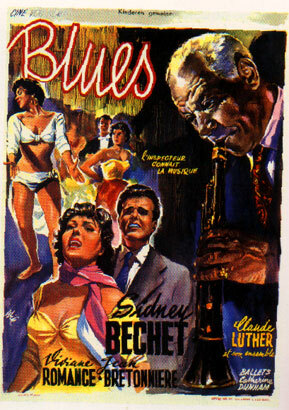 TCB Jazz and blues film (UK) company poster. 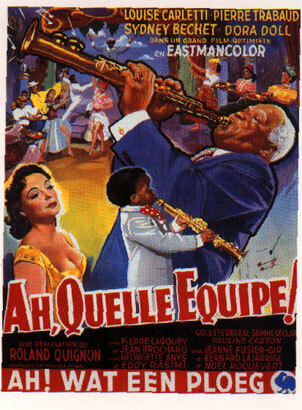 With item (7) two of the numerous films the great New Orleans clarinettist Sidney Bechet made in Europe after he settled in France. Modern jazz club setting for this update of Othello. Your only chance to see Charlie Mingus playing with Dave Brubeck. The film also featured a galaxy of British stars including Tubby Hays and Johnny Dankworth. One of the few jazz biographies that had the original jazz musicians playing themselves. 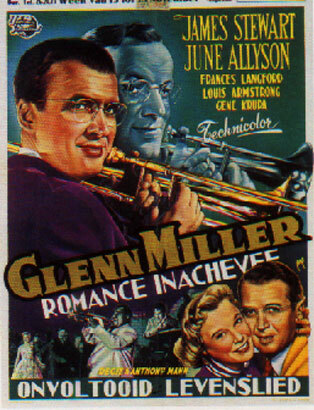 The lobby card shows the original quartet of Lionel Hampton, Gene Krupa, Teddy Wilson with the films star, Steve Allen, standing in for Goodman. 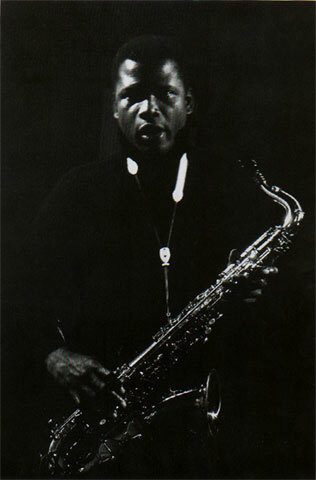 One of the best films about Charlie Parker. 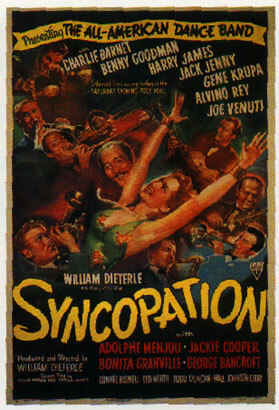 This movie had a great sound track with Bob Wilbur and fellow musicians recreating the music of Duke Ellington during its Cotton Club heyday in the Thirties. Australian movie featuring Miles Davis. 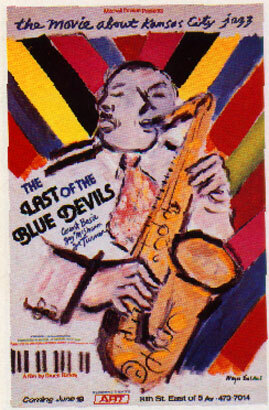 This poster exploits the early Blue Note record label design style. 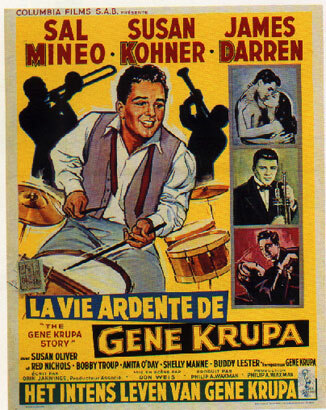 Known in the States as The Gene Krupa Story. One of very few film posters to feature the artwork of David Stone Martin, who was responsible for hundreds of jazz album covers during the fifties, mainly for the Verve Label. 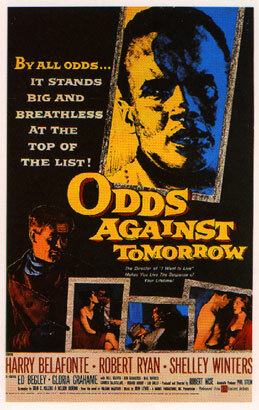 The Belgium poster of this famous film is the only one that shows Glen Miller as well as James Stewart, in the title role. Documentary based on the Jazz worlds most famous photograph. If they were alive, they were there. 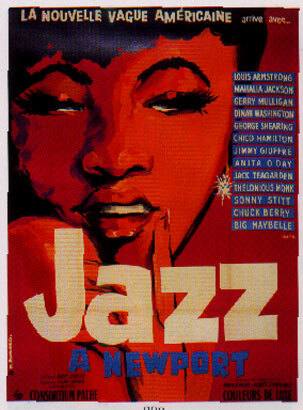 For most jazz buffs the best remembered jazz film with a host of stars. This is a rare Japanese example for the movie. Rare showing at Londons great independent cinema of this documentary about the wayward bop pianist. 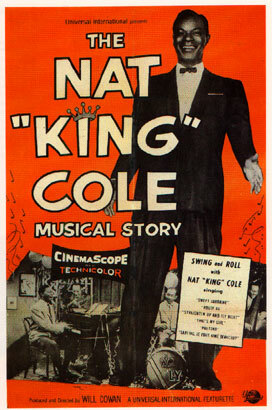 Extremely rare poster of Hollywoods attempt to film the story of jazz. 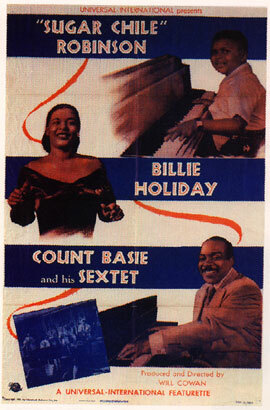 Originally meant to star Louis Armstrong and Billie Holiday. However tinsel town soon got cold feet and parachuted average white blands into the leads. This poster is based on one of William Caxtons battered photos of the fifties post bop star. Lets just prey, that the proposed movie bio starring Leonardo DiCaprio never gets made. The ubiquitous Louis Armstrong also makes an appearance. One of Hollywoods better attempts at the jazz age. 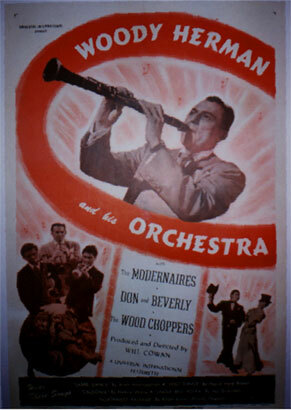 Lee Marvin playing clarinet in a Dixieland band who gets cold feet after a brush with gangsters! What more could one want? Early musical, with an all black cast. 20th Century Foxs response to MGMs Cabin in the Sky with Fats Waller, Cab Calloway and Dooley Wilson,  play it again, Sam from Casablanca. Wonderful documentary about the eccentric Thelonious Monk. One of the most intimate, of all the jazz documentaries. Another Hollywood injustice to Jack Kerouac. However it did feature Gerry Mulligan, Art Pepper, Art Farmer, Andre Previn (in jazz mode) and Carmen McRae. 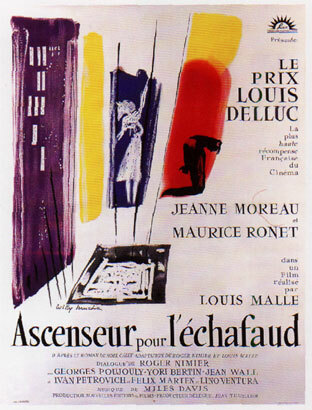 One of the very best films about the jazz life. Based loosely, on the early career of the great Swedish baritone sax player, Lars Gullin .A rare country of origin poster. Documentary about The International Sweethearts of Rhythm. The all female multi racial big band that were at their height during the Second World War. On the road with Woody Allen and his New Orleans band. 25. Hey Boy! Hey Girl! 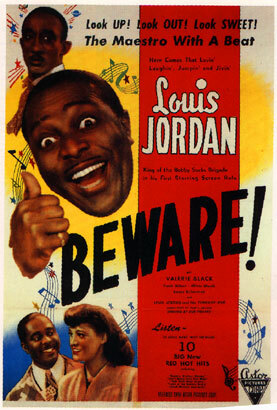 Louis Primer was a very fine jazz trumpeter before he got into his jive bag with films like this. He is now, best remembered as the voice of King Louis in The Jungle Book. Affectionate look at the great days of Kansas City when the place jumped to the sound of Count Basie. 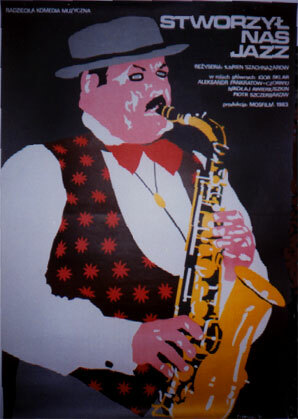 Great designs for a pair of Russian jazz movies... What more can one say! 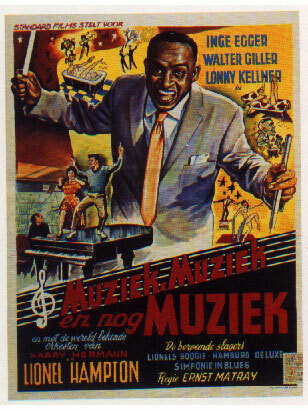 Like Sidney Bechet, Lionel Hampton made various films in Europe and features prominently in this design. All items are first release, original.They are not reproductions.